A new Design in Class 4. IV. 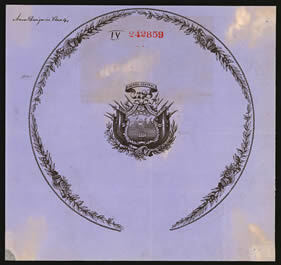 This armorial plate bears the coat of arms of the Central American Republic of Costa Rica. The design may have been prepared in anticipation of the introduction of a new constitution in 1871.